Interlocking floor titles are perfect for those seeking a modular floor design for trade shows, retail shops, stores, hotels or conferences. They interlock together in order to create a helpful flooring option for garage floors, basement floors, home gyms and deck floors too. This self-install flooring option snaps together easily. The tiles are strong enough to stay together even with heavy traffic. No tools are needed for installation. This top-quality flooring is not only portable, but also has anti-fatigue elements, which makes it a great choice for a variety of places. A variety of color selections are available to fit your exhibition marketing tools or your home décor. Choose from 4 designer panels and 6 traditional colors including black, gray, white, red, blue and green. Its high-density EVA finish makes it easy to clean and adds durability. All interlocking tiles are designed with grooves underneath for water passage and air. This prevents any molding from occurring in outdoor applications and adds to the longevity of this flooring type. This is especially important for garages, car workshops or basement flooring. When it comes to creating a trade show exhibit, you need to choose expo flooring that easy to install, portable, comfortable and appealing to the eye. 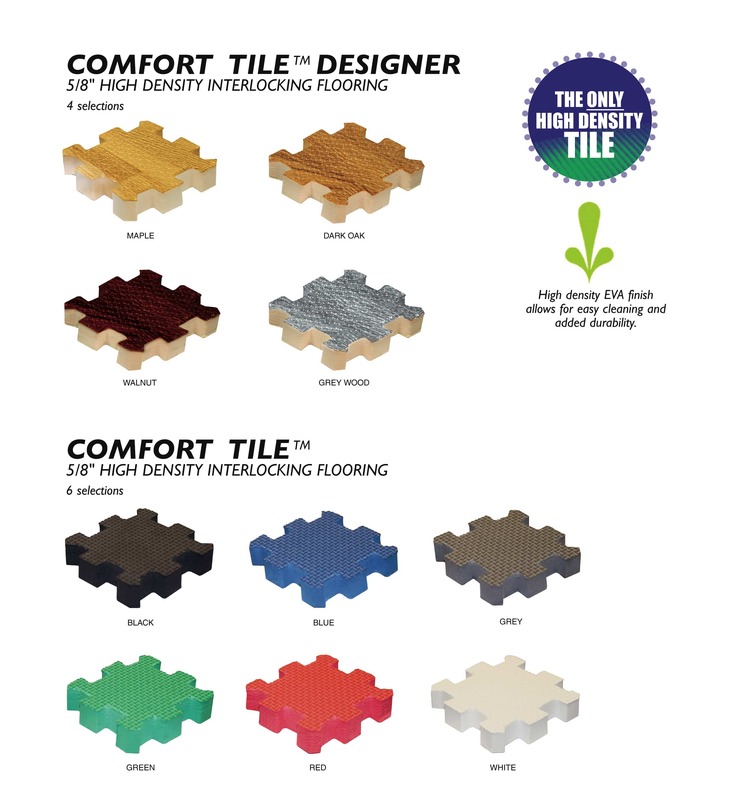 We offer a large selection of trade show flooring including interlocking tile to suit the needs of any customer. All of our flooring options offer DIY installation. Our large selection of flooring will help you when you’re purchasing new elements to add to your exhibit, convention or expo booth. Shop our wide range of flooring options to find something that works best for what you have in mind. 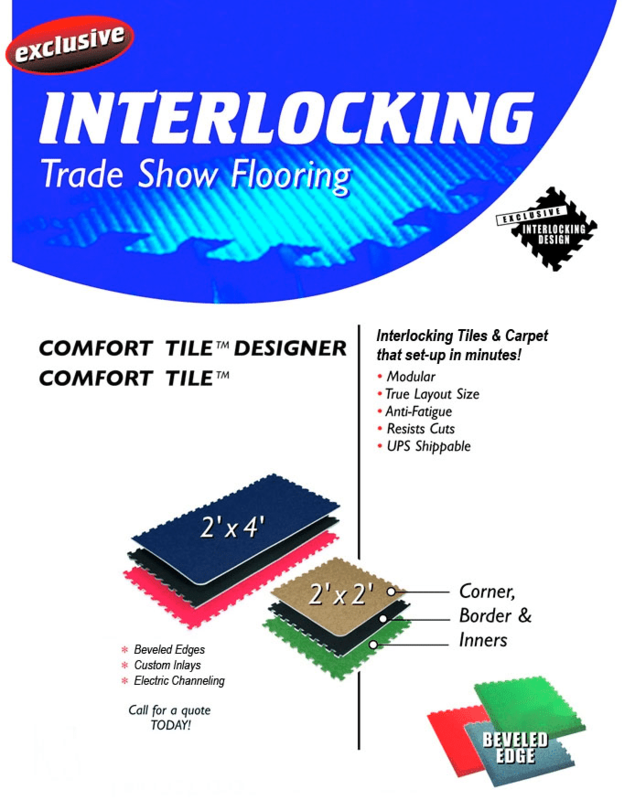 For more information on interlocking tile and what options we have available, contact our professional team at Capital Exhibits today!